I left St. Paul this morning and am typing this from the back of my truck in the baseball field we’ve been using as an airfield. We are getting all the gear and people off of the North East Point first. Will, AA4NC will operate from there until the last possible moment. After that’s done, all but 2 of the Atlantic Cove team will leave the island and head to Sydney, NS to wait for their flight home. The 2 remaining members will operate all day and perhaps into the evening, and then load the boat, which will arrive at sunrise tomorrow. Once the boat arrives tomorrow afternoon, I’ll grab the rest of the team gear that I brought with me and start making my way home. I will post one final entry when I do the final ClubLog upload, along with a few pictures, hopefully tomorrow night when I make my first stop on my way back to Acton, Ontario. I would also like to thank all of you for the wonderful and positive responses I’ve gotten over the past several days on my writings, and on our operations. 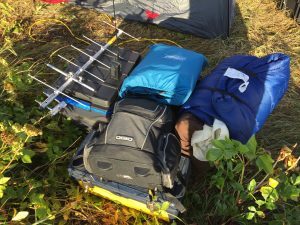 This was my first ever DXPedition, and I don’t think I could’ve asked for a better experience. Until tomorrow, vy 73 de VA3QR/VE1. All the best, thanks for all the posts. What a wonderful journey! Guys, excellent job. You have done excellent on your first DXpediton. Hope for many more. Thanks for the QSO’s, and all your effort to get CY9 on the air. Very much appreciated. Thank you Phil and the rest of the Team for such a great DXpedition. You guys were very well organized and totally professional. I really had a great time chasing all of you around the bands. I also enjoyed your blog, as you did a wonderful job of keeping everyone informed on what the Team was doing. 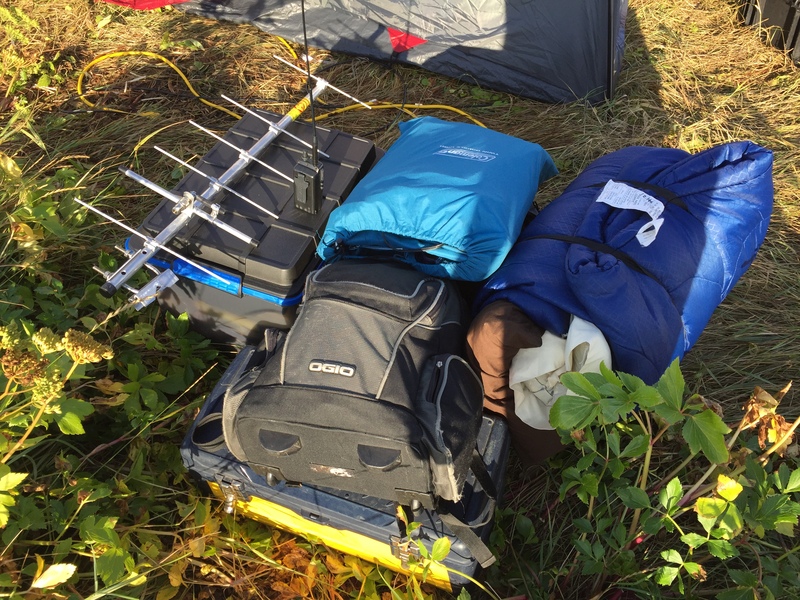 Congratulations also on a job well done on your very first DXpedition. Great job! Everyone have a safe trip back to your home QTH’s. And, you will learn something new on EACH future DXpedition… The main thing is that you made friends and created those valuable memories to reflect on for years to come..
hi again, just watch to thank the team for the qs’s I had and wish all a safe trip home a good job well done see you next time. Thanks for Low Bands folks. have a safe trip home. Congratulation on a job well done. Have a safe trip home. Phil & all – you have done a fantastic job and gained some amazing DXpedition experience. I wish you all safe journeys home and look forward to hearing some great stories about your adventures! Many thanks for a new one, your efforts and the interesting posts here ! Well done ! We should have beers when I get back 🙂 73! I really enjoyed folowing progress via this blog. A great effort by you and the team, And I really appreciate the chance to make an ATNO on 60M and the Q’s on 20 and 40M too. A big thanks to all of the CY9C DXpedition team for their efforts in bringing St. Paul Island on the air! It’s much appreciated! I managed to work CY9C on 40 meters CW, which gave me a new DXCC to add to the list! I really enjoyed reading your daily blog posts here, Phil! It added an extra dimension to my enjoyment of eventually working the DXpedition! Congratulations on a job well done! Just wondering, did I work the Atlantic Cove or the North East Point site? many thanks for all information here on the website and many thanks for the nice contact on the band!!! Hi Michael, and thanks. I haven’t gotten the logs from yesterday in yet, but your 40m CW contact was with K4ZLE in the Atlantic Cove. 73! VA3QR/VE1. Phil, your blog has been enjoyable. The whole team made my last couple of weeks as a ham so much fun – I have never spent so much time reorganizing the antenna farm. Working all bands was a great challenge, but reading about the human side made my day. Please write up a long article with photos so that we can enjoy the adventure. Many thanks to all.